K'JIPUKTUK (HALIFAX) - The Halifax Tool Library encourages Haligonians to get involved and help create a space to share skills and resources. 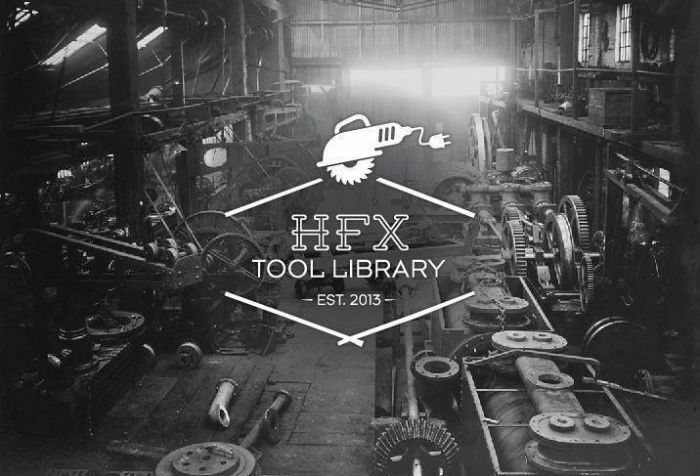 The Halifax Tool Library is a community organization currently in the process of crowd funding a space where residents of Halifax can come to borrow tools and learn the skills involved in tackling home repairs, renovations, and other building projects they may be interested in. The tool library aims to be an inclusive space where people of all ages and skill levels can cooperate to reduce the cost of building projects and enable community members to meet new people and learn the art of building. Board member Kelly Schnare explains how the concept caught her attention. “A bunch of really inspiring people shared the idea with me ...a light bulb went off that said 'this is the right time and this is the right place' and momentum just kind of built from there." The Halifax Tool Library has been involved in community engagement for about six months. This process has helped identify the needs of Halifax residents and shape the concept of the tool library. "We talked to over a thousand people," says Schnare. "We asked some really important questions and we got some really great answers about how much memberships should be, where it should be located, what should be included, and all of those questions got answered and we can now incorporate what people really want." "Right now... we're dealing with borrowing and lending and skill sharing, making that connection with somebody who knows how to do something and somebody who wants to know how to do something, we can connect those two people or groups of people. We can try to organize work parties if someone needs to do a big project, they need people, those people can get trained during the work party, and the job can get done and people's knowledge is increased that way," says Schnare. "In terms of what the Halifax Tool Library is capable of, it's kind of endless. 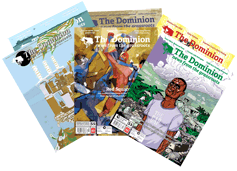 There are 40 [tool] libraries in North America and each one is special, each one is very unique to the location that it's placed in and it grows in a really organic way." The crowd funding campaign allows individuals to make donations small and large. There are different incentives for each donation. With a $50 donation, the cost of a membership, "you're going to be on a founding member's plaque and you're going to have a yearlong membership to access tools" says Schnare. "We're hoping to be completely user-driven from the get go, which to us is a really important value, that people are making this happen opposed to relying on big chunks of money that aren't going to come in eventually." The tool library hopes to open in June and has partnered with Bike Again to create a space for the library. The Halifax Tool Library is also partnered with The Ecology Action Centre, Parker Street Food and Furniture Bank, and the Dalhousie Students' Union to create awareness for the project and to use these locations as drop off sites for their tool drive. Used tools can be dropped off at these locations and will be added to the tool library's inventory once the space is up and running. The Halifax Tool Library is accepting all forms of donations currently but is requesting that the tools be functional. Schnare explains the importance of researching and learning from existing tool libraries such as the one she visited in Toronto. “They've been mentors for sure. Everything from signage, to liability forms, to community organization has been shared." The Halifax Tool Library is committed to enabling sustainable living in Halifax through the shared resource economy. "We want to empower people to make and do as opposed to go out and buy something and watch it break down and have to buy a new one," says Schnare. "When we learn how to fix something it means you don't have to go and get a new one." Many tenants, low income residents, and students hesitate to do home repairs because of the cost involved in purchasing tools and supplies. The Halifax Tool Library aims to fix this. "Most people run out to the local hardware store and buy everything they need but they figure out when they're done that their neighbour had five of these things that they didn't need to buy," says Schnare. "The average cost [of home repairs] should be extremely minimal and more people need to look at it that way." "We're looking at a lot of people living in dorms and living in apartments that are not really investing in where they live because they can't afford to buy tools, or they don't have access to finish nails, or painting equipment but all of those things can be borrowed in the tool library and you can make your house and your community a really happy place to live in, that's what it's about."